Less than one-third of a ton per acre came off of this nearly 35-year-old vineyard from this drought addled vintage, but what made it to bottle is quite amazing. Aromas of earthy thyme, sagebrush, wild black cherry and cocoa are layered and elegant. The palate is rich and thoroughly engaging in flavors of roasted tomato, mulberry and purple flower. 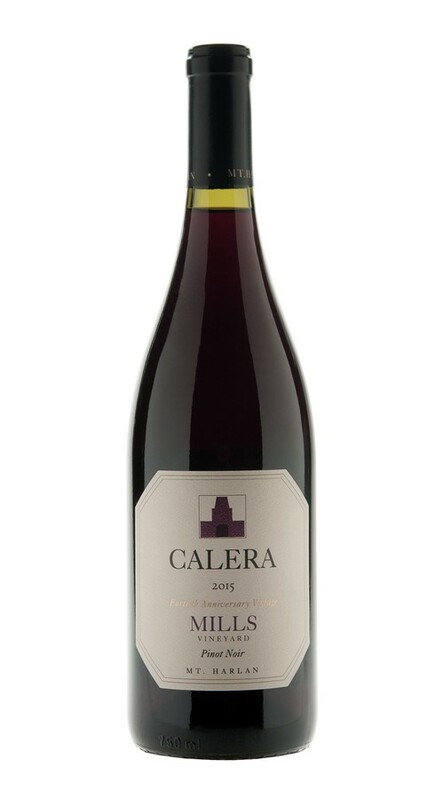 In 2015, the Mills Vineyard yielded an alluring, red fruit-driven expression of Pinot Noir, with vibrant layers of Bing cherry and red plum, underscored by sophisticated notes of pine needles, earth, mushrooms and black pepper. On the palate, the tannins are round and supple, adding a plush textural element to the wine that accentuates the lushness of the flavors and carries the wine to a graceful finish.